On a recent prescription that I myself needed, I decided to explore pricing. At my insurance plan’s own pharmacy, my cash price was $90, or $75 with insurance. At a local private pharmacy, it was $70 cash price. Then just prior our recent trip late at night, I need another prescription. With my insurance, it’s $75 at the 24hr CVS just around the corner. Using Blink Health, I got it for $32. So in both cases, it costs more to use my insurance! 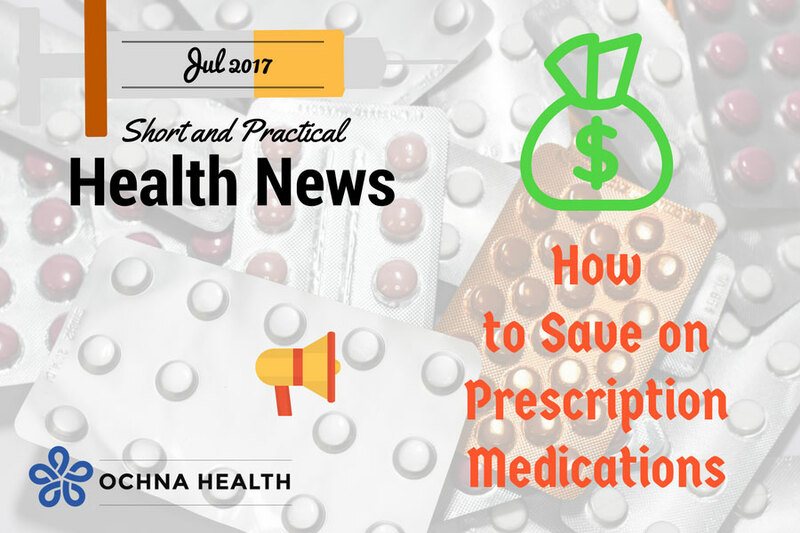 So I decided to compare pricing for the five most commonly prescribed drugs in the US across several major discount programs, as well as private pharmacy. Surprise! Surprise! Prices are all over the place! So outside of the $4 program, Wal-Mart’s pricing are more expensive than most. 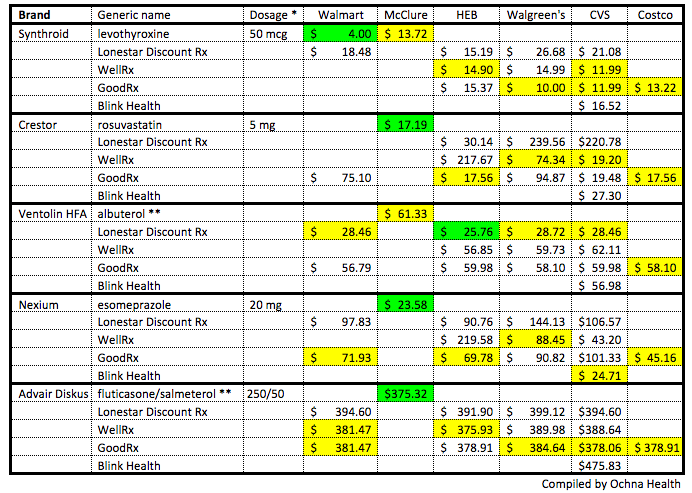 A local private pharmacy, McClure, consistently has the most competitive and consistent pricing (3 winners). Lonestar Discount Rx has 1 winner in Ventolin at HEB. So if you decide to go with HEB, use GoodRx, LoneStar, or their $4 discount program. If you use CVS, go with WellRx or Blink Health. If Walgreen’s stores are your choice, you’ll need to shop pricing.